European Office Products Awards – the quest for excellence. What determines excellence in these challenging times – continuous innovation, always tapping into current consumer trends, improving revenues, gaining market share, customer service brilliance? All of the above. 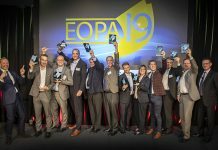 On 5 March 2019, Europe’s leading operators from the business supplies industry will gather for the 18th time at the European Office Products Awards (EOPA) presentation dinner at the Hotel Okura in Amsterdam. They will celebrate people – three awards are up for grabs here, among them the prestigious Industry Achievement trophy – companies, initiatives of various kinds and, of course, products. rewarded for their efforts. Don’t miss it! 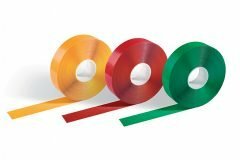 RTC Proffice Experience – Feel Green, Choose Double A! No shortlist – the winners of these awards will be announced on the night. This height-adjustable conference table allows for a group of people to vary between sitting and standing. 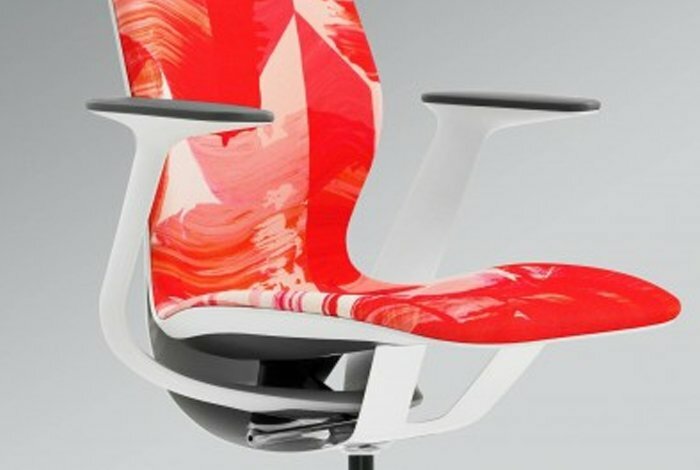 It’s ideal for active meetings and addresses research that standing at work for several hours per day gives the body considerable health benefits. Scribzee-powered products automatically create a high-quality digital copy of your handwritten notes. Review your notes at any time – they are always retrievable, editable and shareable from all your connected devices, even when you don’t have your Oxford notebook with you. Meeting the needs of next-generation customers, the HP Sprocket’s sleek design fits into any handbag or pocket. Print instantly from your mobile and personalise with frames, icons, emojis and text. Best-in-class print quality using ZINK technology. The Samsung Flip transforms any space into a meeting room. With touch navigation, up to four people can get creative at the same time, using any object as a writing tool to create content and designs on screen. It connects easily to external devices enabling teams to share content. The Steppie Balance Board ensures staff get the full benefit of a sit-stand desk. Static standing is uncomfortable, but with the slight motion caused by the Steppie, this more ‘dynamic’ standing allows users to comfortably stand for longer. A striking and creative video that seeks to capture the essence of a new Brother product and “bring labels to life”. Pan-European in its target audience outlook, a video that has enjoyed outstanding exposure across various social media platforms. 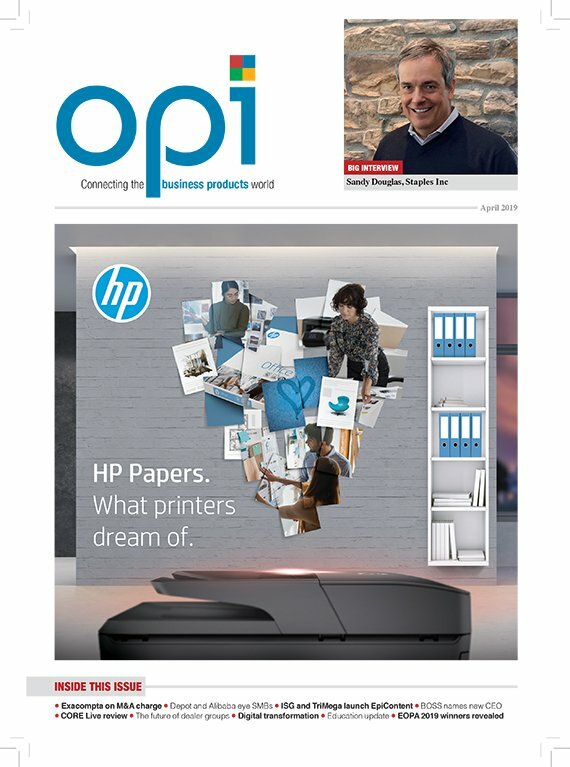 On trend and from the outset appealing predominantly to the millennial B2C customer, HP’s video expertly taps into the changing work environment as well as satisfying demand for instant print-as-you-go user behaviour. Employing celebrity endorsement, Pilot Pen Europe’s video is a creative and artful demonstration of how one of its products can be used. It beautifully illustrates the point of how artful writing instruments can be. Aiming to convert chaotic brainstorming sessions into calm and organised meetings that deliver long-lasting results, the Flip Interactive Display video sends a sharp and clear message to Samsung’s target audience. This animated video illustrates the scope of ZenOffice’s Print & Promotion division and how it can provide a complete print solution for every kind of business. With the purpose of driving sales activity, a great example of how to successfully create a video on a limited budget. Founded 27 years ago, Hungary-based Corwell goes quietly about the business of working with its vendor partners and supporting its resellers. Commended for its superior merchandising on and offline, Corwell goes the extra mile ensuring it not only delivers product, but does so with great emphasis on supporting local communities and being environmentally sound. Exertis Supplies is an operator that, as the EOPA judges said, does what it does extremely well with its simplistic and effective approach. A previous winner, it offers product at low cost and with service very high on the agenda. Not value-added sales or marketing services, but range, availability and speed of delivery. Exertis Supplies is always praised for its excellent vendor and dealer partnerships. UK-based JGBM excels in the hugely challenging category of office technology with its margin pressures and pricing visibility. It does so by being highly focused – and very skilled – in the digital arena, operating a wide range of sophisticated platforms and systems. A niche wholesaler that offers outstanding value-added services to its dealer customers. Austria-based PBS Holding continues to develop and grow in a fragmented European wholesaler channel, most notably in Poland, Austria and Germany. Having long adopted a multichannel approach that is becoming increasingly popular, the words “professional”, “well organised” and “progressive” were frequently mentioned by the judging panel. Under the broad umbrella of ‘Data Shredded – Data Protected’ and with GDPR legislation in mind, ACCO Brands’ objective was to communicate to its target audience the need to protect data, not just in digital format, but also paper documents. The underlying sales goal was to boost the shredder category which this campaign successfully accomplished. Avery’s ‘Every label tells a story’ initiative sought to uncover the secrets of successful product labels – how can a shipping label, for instance, subconsciously influence the views of postal recipients? The aim was to give label users – especially small businesses – a definitive guide to creating the most effective label for their needs. This campaign highlighted how a mid-sized company like Durable can promote a product – the Duraframe – through excellent sales and marketing collaboration and real entrepreneurship across many media, including a four-week TV spot, and achieve revenue results. This integrated marketing campaign also aimed to educate OP resellers and business consumers about the new European GDPR regulation. Aside from increased awareness, it resulted in a considerable uptick in the shredder category overall and for Fellowes Brands specifically. This campaign, encompassing media such as video and augmented reality, focused on ZenOffice’s Print & Promotion division, highlighting the experience of its print specialists and illustrating how this UK dealer can provide a complete print solution for every kind of business. Ubicuity is a line of furniture made from recycled pens. The initiative was launched by BIC in collaboration with TerraCycle, Govaplast and Plas Eco. It encourages customers to collect discarded pens, which are then transformed into highly durable benches for use in schools. Brother’s All in Box offers all a customer needs to print for three years, in one package with a discounted price and a three-year warranty. End users realise savings while channel partners gain new sales routes. For its 100th anniversary, Fellowes Brands set an ambitious target for its long-standing GIVE Program and challenged its European team to raise €100,000 ($114,000). By March 2018, it had raised over €104,000, beating the target at an early stage. TechStuff! is a cloud-based e-catalogue with wholesaler JGBM controlling content in real time. It delivers product videos, changing promotions and competitive pricing directly to dealers’ customers. Pioneer is an online tool for OP resellers to develop their skills and knowledge. It offers executives and their teams the opportunity to progress in their personal and professional development. In partnership with Double A and the Carpathia Foundation, RTC launched ‘Feel Green, choose Double A’, an initiative where the reseller committed to plant six trees for every 200 reams of Double A paper sold. In 2017, over 151,000 reams were sold and in 2018 staff and customers of RTC spent two days planting trees across five hectares of land. All eyes have been on ACCO Brands over the past 18 months or so when it faced the task of integrating two businesses in Europe – Esselte and ACCO Brands. Highly regarded across a vast product portfolio, the company has done a remarkable job combining the two entities while at the same time instilling a positive, new culture among the workforce and with channel partners. Swedish hygiene products group Essity and its global brand Tork had a good 2018 – helped by a strong performance in the Professional Hygiene arm – and made it into the EOPA list for the first time in several years (previously as SCA). Essity was highlighted for its strong sustainability efforts as well as for its progressive, often tech-based, product range. 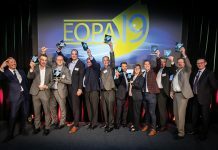 Fellowes Brands is a familiar sight on the EOPA shortlist (and a previous winner too), hailed for great customer relationships and a product portfolio that constantly evolves. It backs up its ability to anticipate market evolution with tried and tested as well as innovative new sales and marketing tools for its reseller partners. Papyrus is at the very heart of the challenges that our industry faces, paper being one of the most notable declining categories. Despite that, says the product and supply solutions provider, “we believe in paper and are ready to invest”. Its brand new logistics and competence centre in Germany serves as one of several platforms to better work with its European partners in 19 countries. Amazon – and Amazon Business in several European countries now – has become part of the core fabric of the European business supplies industry, taking market share, outperforming the competition on many fronts and continuing to create real emotional attachment among its customer base. A perennial EOPA contender. Germany’s Böttcher continues to excel in a competitive market, with organic growth of 31% in the first half of 2018 alone (to €172 million/$197 million). Its mid-term annual revenue goal stands at €500,000 million. The online reseller’s assortment and scope is ever growing, resulting in considerable investments in its facilities, manpower as well as online tools – the latter often hailed as the main driver for its success. 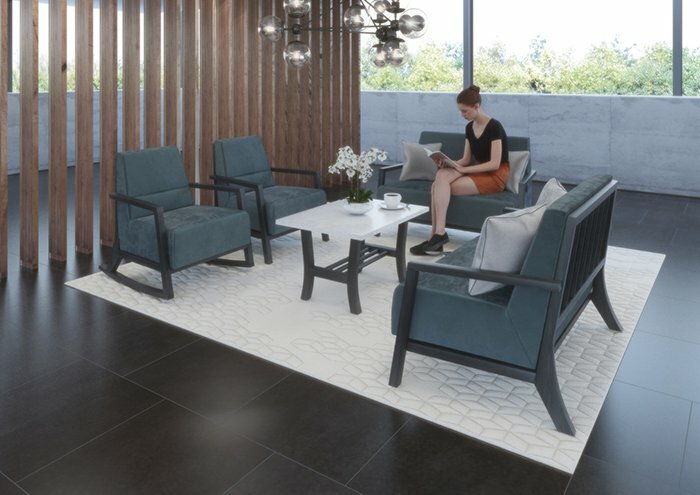 Bureau Vallée remains a stand-out performer in the retail space, with a formidable brand name in the French B2B market. Double-digit growth and ambitious plans to open more stores, both at home and abroad – it now has stores in countries such as Italy, Spain and Tunisia – bode well in a hugely challenging retail environment. And while bricks-and-mortar remain key, the reseller is also actively investing in a wide range of digital tools. Italian office products franchise retailer Buffetti impressively continues to expand its geographical as well as product-related grip on the market. 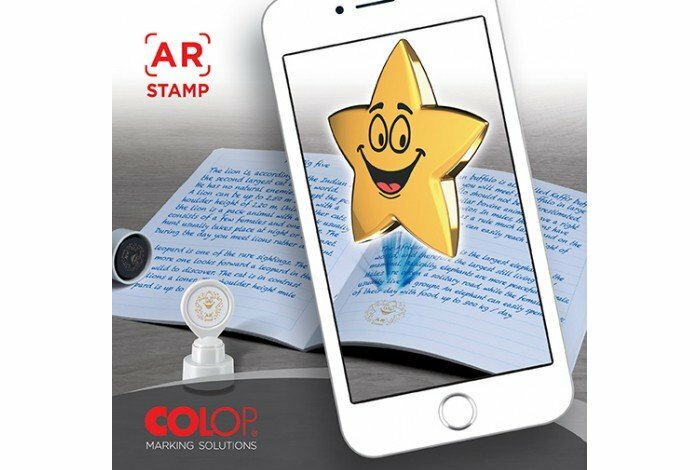 In 2018, it bought a 40% shareholding in Pigna, one of the country’s oldest and best-known stationery and school supplies brands. The move represented a key step in Buffetti’s strategy to focus on five core areas: office, school, gifts, software and services. As part of this strategy, the company had previously taken a controlling stake in gifts retailer Campo Marzio. Scott Castle, Product Marketing Manager at VOW, is a professional with outstanding initiative, bags of enthusiasm and a thirst for sourcing new opportunities. Having been at VOW for five years, Scott has already shown some leadership skills when he developed a fully-integrated marketing plan for the wholesaler. He’s also involved in the industry at large as part of the BOSS Leaders of the Future Committee. A highly-driven individual with experience in account management, customer services and relationship building, Margaux Lefaucheux is Key Account Manager at office equipment cleaning product specialist AF International, part of HK Wentworth. With great attention to detail and a can-do attitude, Margaux prides herself on making other people’s jobs easier. Marketing Director of Office Friendly Katie Metcalfe has become a key member of the dealer group’s Strategic Management Team. Having been with the group for 13 years, Katie has been instrumental in developing a wide variety of sales and marketing tools for members. A real team player and another BOSS Leader of the Future, Katie thrives on building relationships and has an uncompromising dedication to individual development.